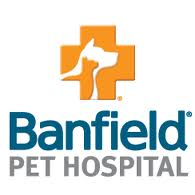 Banfield Pet Hospital Externships provide work opportunities for veterinary medicine students in a clinical setting. Students in their first to third years in veterinary school may apply. Veterinary students will receive hands-on experience as well skill building. Externs will spend about 80 percent of their time on a veterinary team of assistants, and the other 20 percent working directly with their mentor. Each extern will have a veterinary doctor as their guide throughout the externship. Work may include physical exams of animals, assisting with surgery, and learning important client communication skills. Externs work 32-40 hours per week for 6-10 weeks. The externships are paid. Students may choose externships located at pet hospitals across the country. Banfield Pet Hospital is located in Portland, Oregon, but partners with hospitals across the country to give veterinary students technical and skills training that will help prepare them for careers in veterinary medicine. Banfield is committed to providing high-quality medicine for pets and excellent training for pet health care providers.